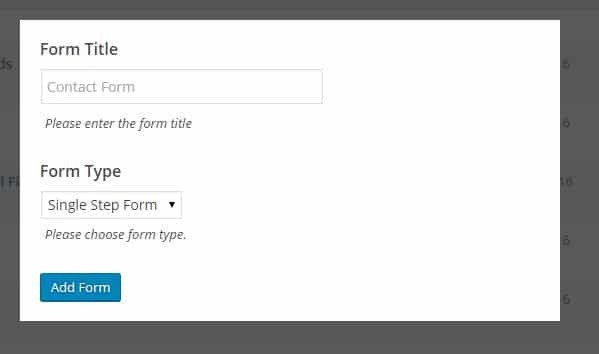 Form builder is one of the must-have WordPress plugin for any website. 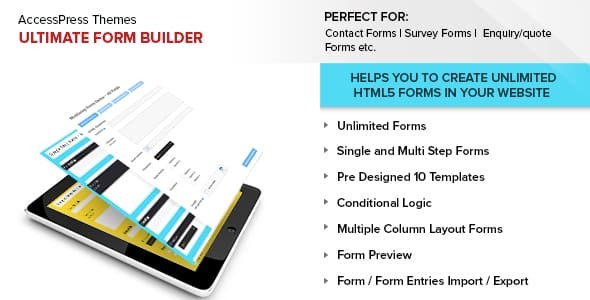 It allows you to build multiple types of forms such as subscription forms, contact forms, submission forms, inquiry forms, survey forms and many more. All these forms will make your website professional and engaging to your visitors as well as make the communication between you and your visitors much easier. Form Builder, being of the important element for any website comes inbuilt different WordPress templates such as Avada, BeThemes, Constructera, Vmagazine, etc. However, if the WordPress theme you are using on your WordPress website is not integrated with the form builder to create your site’s forms then, you can add the functionality by using the WordPress form builder plugins available. As these form builder plugins come with different designs and features to add stunning multipurpose form in no time. 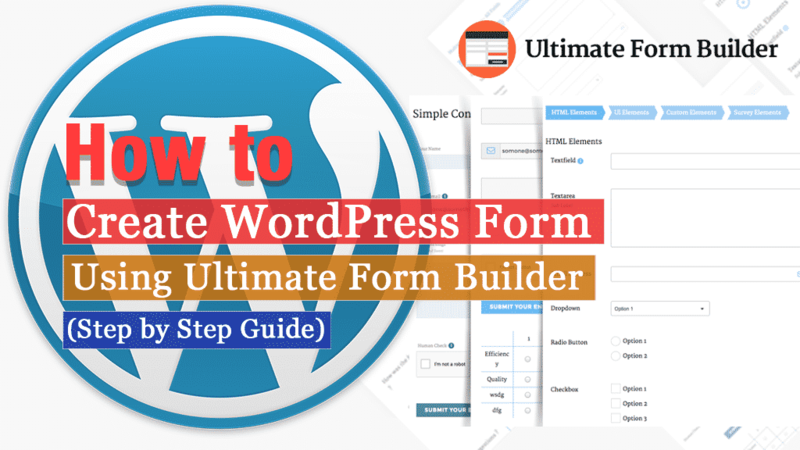 Talking about form builder plugins, one of the highly rated and best-selling form builder plugin for WordPress website is Ultimate Form Builder Pro. It is a premium WordPress plugin by AccessPress Themes that consists of responsive designs and powerful features to create stand out multi-use forms without touching any codes. After you have completed the installation of the plugin, you will see “Forms” appear on the left menu of your WordPress dashboard. Click on it. You will land on the “All Forms” page. 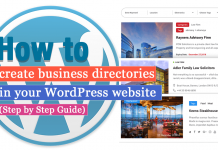 It contains all the forms you have created for your WordPress website along with their shortcodes. Besides, you can also checkout the status of your form to know whether your forms is active or not. In order to add new form for your WordPress website, click on “Add New Form”. A popup will appear where you have to enter the title of your form and choose the form type. After you have entered your title and chosen your form type, click on “Add Form” button. HTML Elements: The HTML Elements will allow you to insert Single Line Textfield, Multiple Line Textfield, Email Address, Dropdown Menu, Radio Button, Checkbox, Password, Hidden Field, Number Field, Submit Button, and Captcha on your form. UI Elements: The UI Elements will let you to add Datepicker, Datepicker Date Range, Dropdown Date, Dropdown Date Range, and UI Slider on your form. Custom Field: From the custom field, you can add File Uploader, Custom Texts, Agreement Block, URL Field, and WYSIWYG. Survey Elements: From the survey elements, you can add Star Ratings, Like Dislike Thumb, and Choice Matrix. 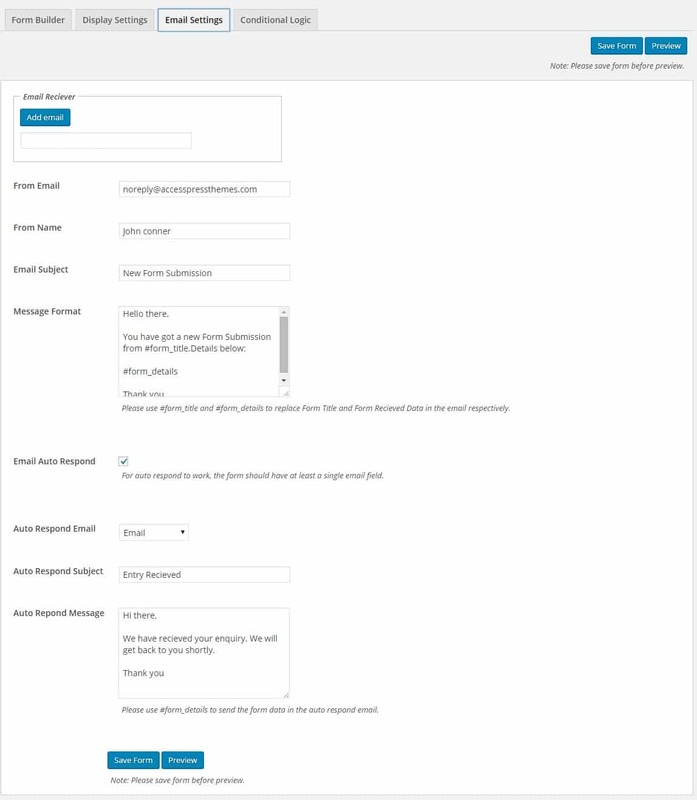 In the display settings, you can set your custom form width, form submission message, and form error message. Also, choose the template for your form. In the email settings, you can add the email address for the receiver. Also, set the custom email subject and message format. Besides, you can also set the auto-reply options along with the custom auto respond subject and auto-respond message. 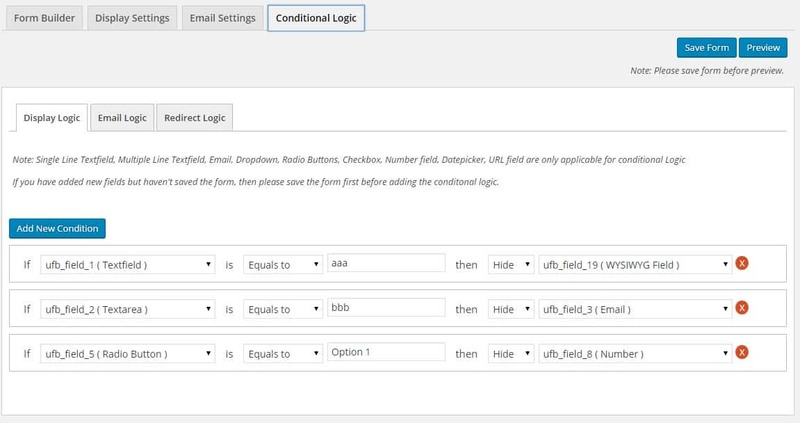 Here, you can set the conditional logic for your form. After, you are done save your form and view the preview of the form before adding it to your WordPress website. 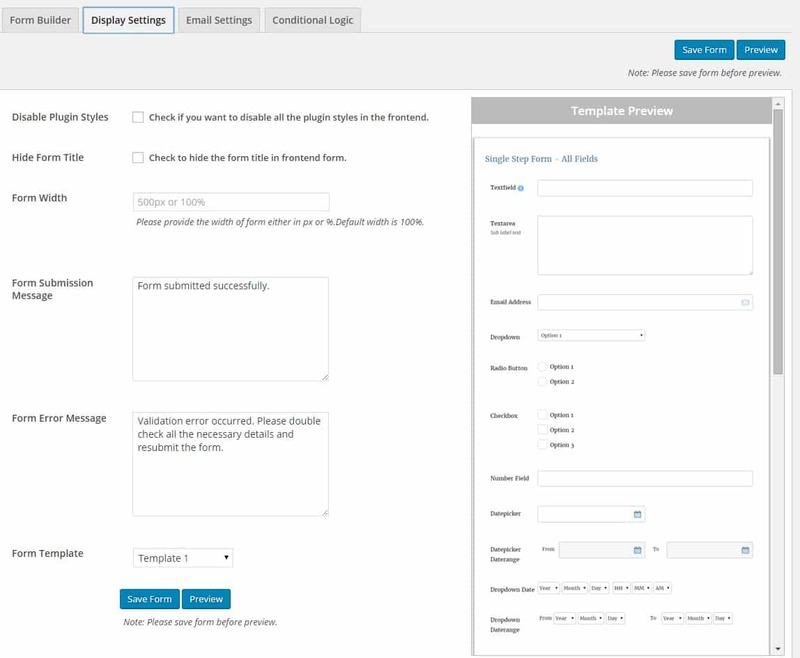 Then, add your created form on any pages, posts, custom post types or widgets of your WordPress website. In this way you can build and add forms on your WordPress website. So, if you want to add the forms on your WordPress website then, you can purchase the above mention plugin and follow this step by step tutorial. Hey Buddy!, I found this information for you: "How to create WordPress form using Ultimate Form Builder plugin? (Step by Step Guide)". Here is the website link: https://wpallclub.com/create-wordpress-form/. Thank you.